By setting up an illuminating dialogue between artworks and their historical context, this exhibition shows how the iconography of St George and the dragon has always been a powerful driver of the European imagination. A selection of works is on display (including paintings, sculptures, drawings and illuminated manuscripts) representing the saint in different forms, and the exhibition examines how St George and the dragon are identified today with various battles of humanity against hostile forces, but also and perhaps above all against humanity itself as it seeks to define its destiny. 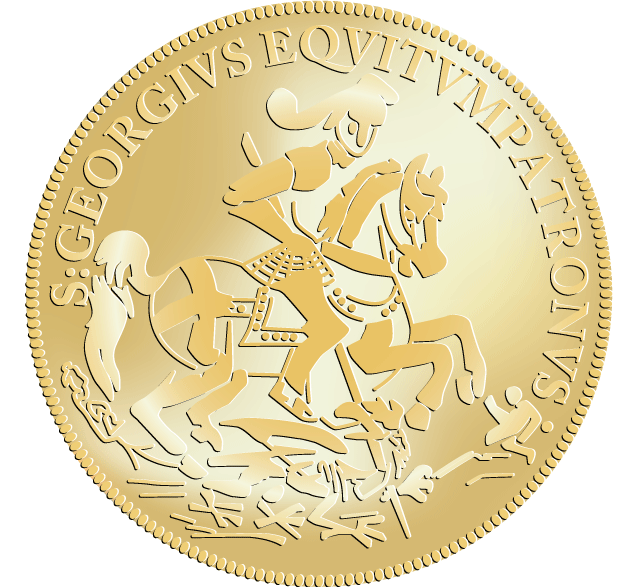 The success of the cult of St George was considerable, and his fame spread throughout the Western world. He became the emblem of countries and regions in Europe such as England, Portugal, Catalonia and Aragon. A multi-faceted figure, St George was also the patron saint of corporations, of various orders and of many European cities which were placed under his protection. This success accounts for the multiple depictions to be found in the largest European collections, as well as frequent appearances in popular traditions, which still constitute an intangible heritage that is showcased in this exhibition. Four contemporary artists are invited to show how this myth has retained its meaning even today: David Claerbout, Giuseppe Penone, Luc Tuymans and Angel Vergara Santiago.